Polishing to a shine! Is your hardwood floor dull or hazy?? 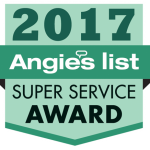 Angelo’s Floor Care Specialists have brought many hardwood floors back to life. In just the last 10 years, we have cleaned over 218,000 square feet of hardwood flooring! 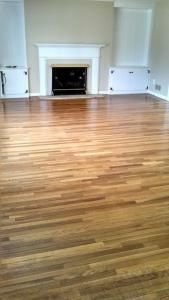 What To Expect When We Clean Your Hardwood Flooring. Our technicians will walk through the cleaning job with you to make sure we know exactly what work is to be done and we will tell you exactly how much it will cost. At any time you may ask for an estimate of the many services we offer. Next, using a 17 inch, 175 rpm floor machine and/ or multiwash floor machine with two soft nylon brushes rotating against each other, we clean your wood floor using our dual cleaning process to remove contaminants and leave your floors residue free. Then you will start receiving our Newsletter with helpful hints and discount coupons. *Furniture moving is not included in the pricing and may be an additional charge. On the market today, there are many Wood Floor Care Products . 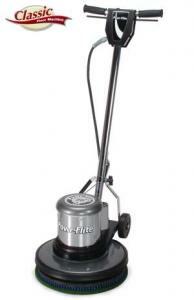 Some are not meant to be used regularly and have to be removed before using again or they will cause your floor to look hazy or cloudy and not like it should. The most common Products are Orange-Glo Wood Floor Refinisher, Pledge Wood Floor Care and Bona Wood Floor Rejuvenator. These products are actually polymer based products similar to floor wax. These products actually have to be stripped off just like wax gets stripped off of a vinyl floor, and then reapplied for it to work properly. Otherwise the floor will start looking dull and hazy. If you have used these products or something similar, your wood floor probably doesn’t look as good as it used to. There also may be a reason this product was initially applied, such as to hide imperfections or even damaged areas. Once the coating product is removed, previous damage can be revealed and prior imperfections exposed. If your floor has a coating on it, whether you know it or we discover it, your floor must be stripped to remove the coating. Most professionals would tell you the only way to remove these coatings is to sand the floor and in some cases this is true. 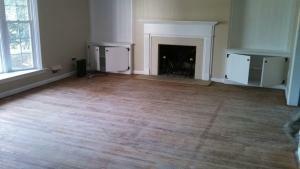 In most cases, we can remove the product without the hassle and expense of sanding and refinishing the floors. If the floor has a coating or residue, we recommend an in home evaluation prior to scheduling so we can do a test spot to see what kind of results will be achieved and what is needed for removal then give a written proposal based on findings. Natural wood floors need to be deep cleaned, fresh paste wax applied, and buffed to a shine every so often to keep them looking their best. 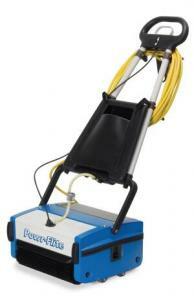 We use a 17 inch, 175 rpm floor machine with a scrubbing pad to clean and a soft white pad to buff the floors. We use a clear paste wax and/or liquid finishes in colors such as Golden Oak, Mahogany, Walnut and Dark Walnut to help restore areas with color loss. 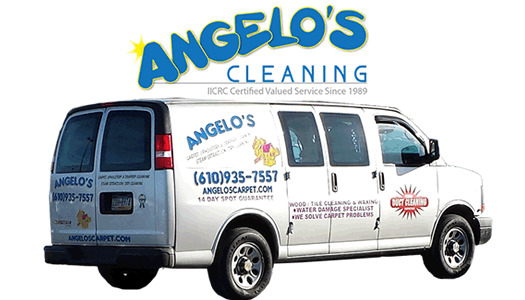 Serving Phoenixville, West Chester, King of Prussia, Radnor, Newtown Square, Haverford, Wynnewood, West Chester, Coatesville, Downingtown, Limerick, Harleysville, Norristown, Upper Darby, Lansdale, Pottstown, Douglassville, and surrounding areas!